Halloumi Cheese is the famous traditional white cheese of Cyprus which has been produced on the island for centuries. 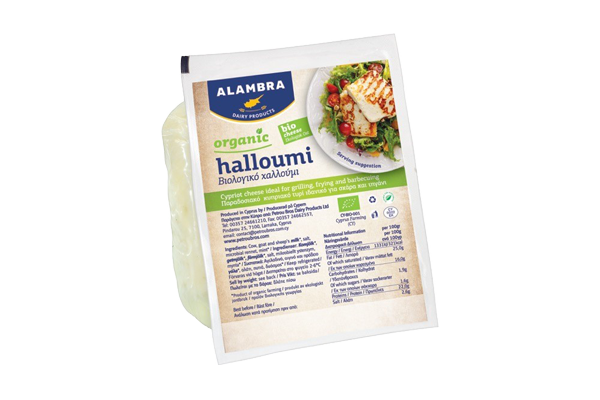 The name Halloumi is derived from the Greek word “almi” which means salty. It’s a folded semi-hard cheese prepared from cow’s, sheep’s or goat’s milk and then rolled in wild mint and soaked in brine. This made it possible to store Cyprus Halloumi Cheese for long periods, despite the islands hot climate. 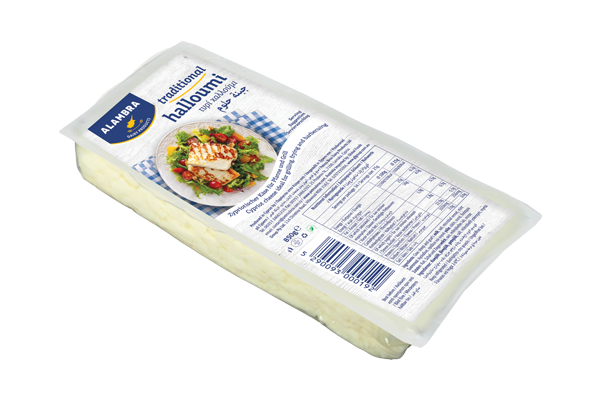 Cyprus Halloumi Cheese has a rectangular or semi – circle shape and it’s usually stored in temperature below 6oC. It lays claim to being the world’s most fascinating cheese. It is a cheese of endless variety and whatever you decide to do with it always retains its shape and texture. You can enjoy Cyprus Halloumi Cheese at any form, Ideal for Grilling, frying, barbecuing and grating. You can taste it as it come fresh, as an addition to cooked dish, in salad or accompanying cold fruits especially cold watermelon. 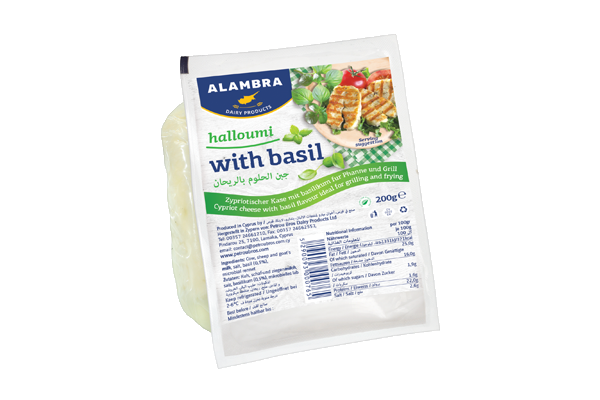 In recents years, Halloumi cheese range increase by adding flavors in the traditional cheese such as Chili , Basil, Black pepper combining traditional taste with modern consumer needs. 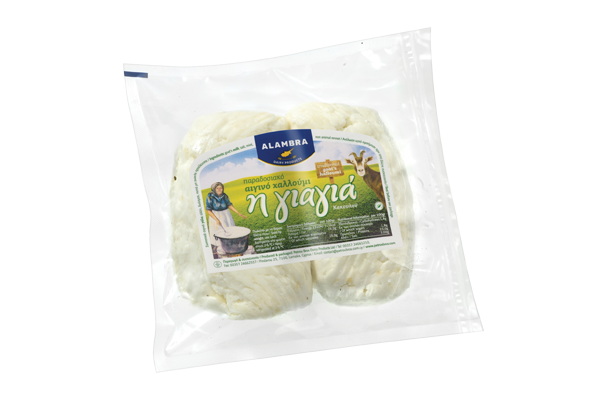 Cyprus Halloumi Cheese is produced in modern factories using advance technology but always with great respect to tradition. 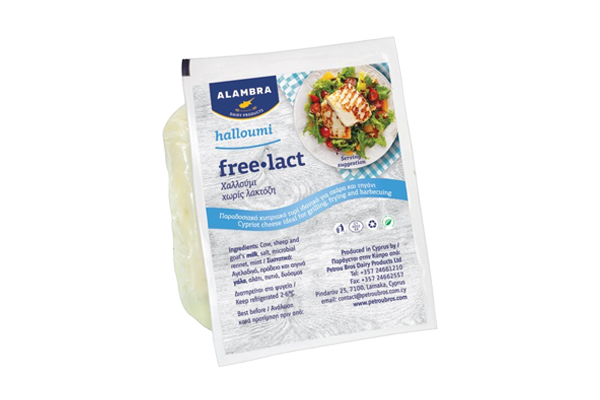 Halloumi cheese is exported to 30 countries worldwide with annual demand increase of 20%! 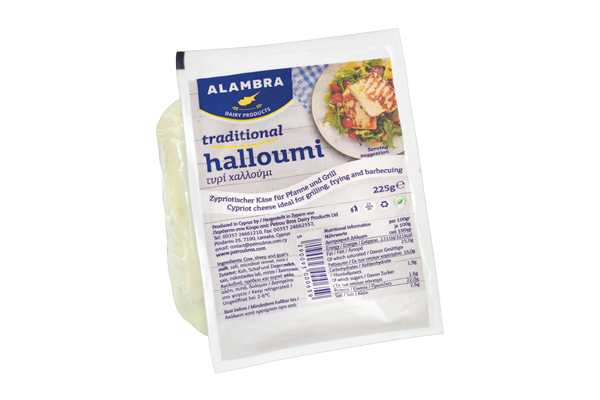 Halloumi cheese is the traditional cheese of Cyprus, which has been produced on the island for centuries. It’s a semi hard cheese and it is produced by a mixture of cow, sheep and goat milk. 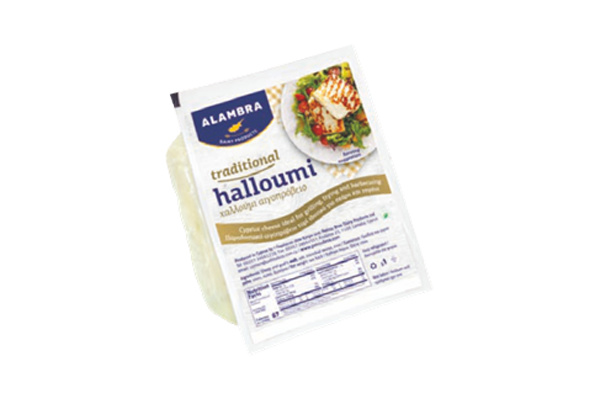 ALAMBRA by combining knowledge together with tradition and long-term expertise provides consumers with the Traditional goat Halloumi superior quality. 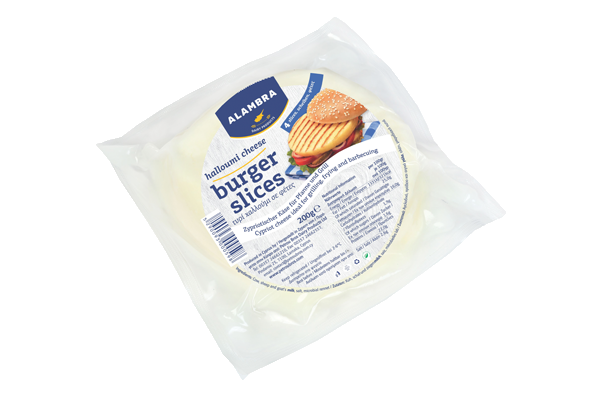 You can enjoy all Halloumi cheese type in ready sliced packages, ready for BBQ! Each slice has 1cm thickness and you can find it in rectangular shape or in round shape.